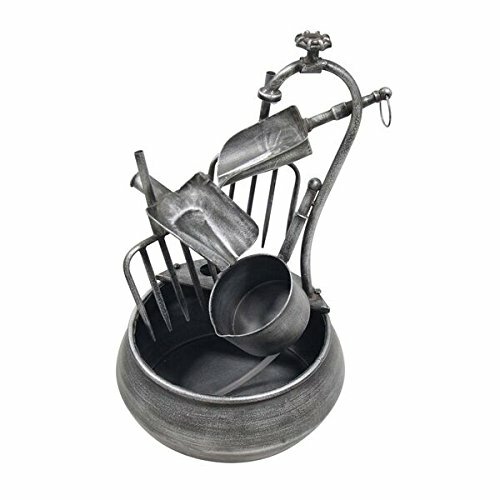 The Backyard Expressions steel garden tool fountain is a durable & weather resistant steel fountain. The hammertone Grey finish is very neutral & looks great in any outdoor or indoor setting. Show your gardening spirit by putting one in your backyard, patio, or garden! electric pump included.